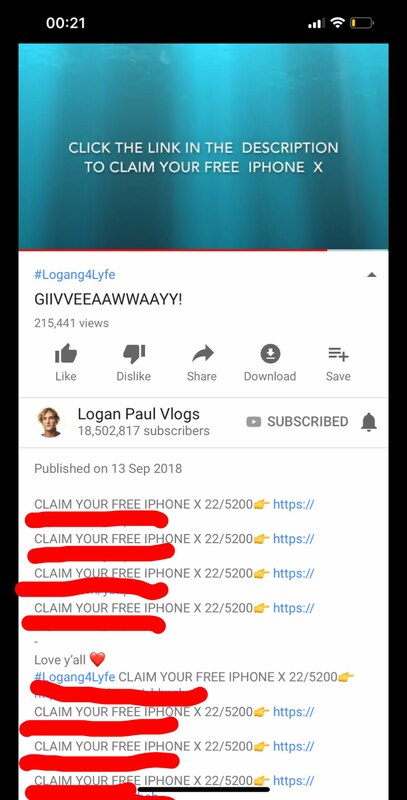 YouTube star Logan Paul has been hacked on YouTube and a video was posted last night on his channel advertising free iPhone X's with links in the description, this was obviously a scam/virus of some sort but it wasn't that obvious to some of Logan Paul's audience. The YouTube star who has a massive subscriber count of 18 million+ and has most recently been involved in the biggest YouTube event in history had been hacked late last night with the video being posted on his channel more than once after being taken down by YouTube the first time around, the video was very quickly and easily put together by the looks of things as all it had was text telling viewers to "Click the link in the description to claim your free iPhone X". The video which was titled "GIIVVEEAAWWAAYY!" 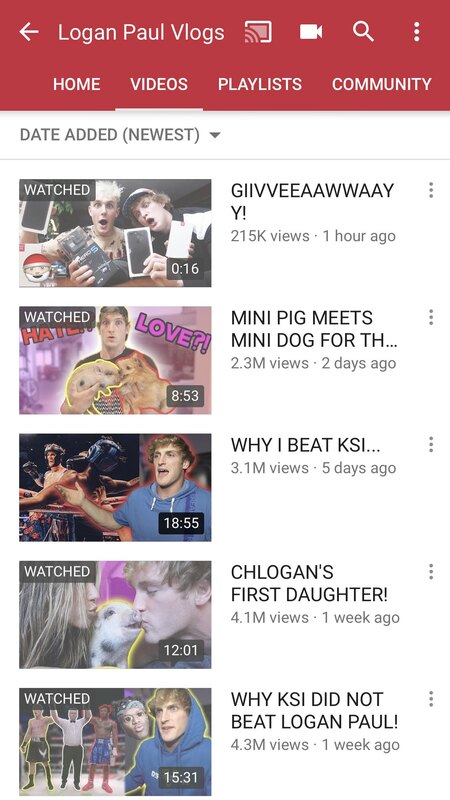 had already gotten 215,000+ views after only an hour of being up and at that time Logan's channel had exactly 18,502,817 subscribers, it was also tagged with "#Logang4Lyfe" making it look even more real to some of Logan's audience. The thumbnail of the video was eye-catching for his audience also with it being Logan Paul with his brother Jake Paul and they appear to be holding iPhone X boxes, one thing in the thumbnail that looked out of place was Jake Paul's hair colour and the Santa emoji being used in September. Logan Paul's audience are thought to be mainly children aged between 8 and 14 years old, although sometimes younger or older, so this would have been an easy target for the scam/virus link that was posted and advertised in the video. The question I ask is how a YouTube star this big can have his channel hacked? did he click the link on another video himself? Was his password guessed? Who knows! Post your opinion on the matter in the comments below! News team: Update in regards this the video has been deleted but logan's profile picture was removed. Logan did not give a comment on his twitter.